Epoxy resin is one of the most valuable tools available for modern boat repair and construction. Epoxy's popularity for use in the marine industry is due in large part to its versatility. It can be used for making small repairs as well as cold-molding a brand new hull. The nature of epoxy allows you to create a mixture with the precise characteristics that you need. Epoxy cures to a hard and durable plastic at room temperature, and its cure rate can be adjusted by various hardener formulations. The basic ingredient for all epoxy compounds is the resin. By using a simple cookbook approach and measuring carefully, you can tailor both the handling characteristics and the physical properties of the cured resin. To achieve the proper ratios (resin/hardener) use calibrated pumps to deliver the correct proportions. Fillers are designed to thicken the epoxy mixture. Fiberglass cloth and other reinforcement materials are often used in conjunction with the epoxy to provide additional strength. 1. Wear gloves and a respirator. Dispense the proper proportions of resin and hardener into a clean plastic, metal or wax free paper container. Don't use glass or foam containers because of the potential danger from exothermic heat build-up. 2. Measure Carefully. Most problems related to curing of the epoxy can be traced to the wrong ratio of resin and hardener. To simplify measuring, we recommend using calibrated pumps to dispense the resin and hardener. All three major marine epoxy manufacturers (WEST System, System Three, and MAS) have pumps specially created for their mixtures. Make sure you have the correct pumps and read the instructions. 3. Stir the two components together thoroughly: at least 1 minute longer in cooler temperatures. To ensure thorough mixing, scrape the sides and bottom of the pot as you mix. Use the flat end of the mixing stick to reach the inside corner of the pot. Curing epoxy generates heat. For this reason, do not use foam or glass mixing containers. 4. Fillers are added to thicken epoxy for specific applications such as bonding or fairing, and sometimes just to fill and keep a batch from dripping. Select the appropriate filler for its handling characteristics and cured physical properties. Epoxy adhesives and fiberglass resins are much easier to work with than many think. It's all about the correct ratio and application. Epoxy composite construction consists of bonding all of the materials and parts of the boat together with epoxy resin. The resulting structure has physical characteristics superior to the components by themselves. Composite construction includes a variety of building methods that use epoxy to protect the materials from moisture as well as hold the materials together. Epoxy resins, the key ingredient, are among the most versatile of thermoset plastics. They bond exceptionally well to a wide range of materials and are highly moisture resistant. Compared to polyester resins typically used in fiberglass boat construction, epoxies have greater strength, less shrinkage, better moisture resistance and better fatigue resistance. 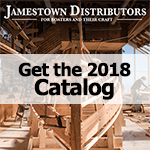 Combining the best of wood technology with the advances in FRP materials and processes, leading builders have turned to composite construction to produce durable, distinctive boats. Builders use the moisture resistant qualities of epoxy to take advantage of wood's strength, stiffness, light weight, resistance to fatigue, insulating ability, availability, cost, and beauty. Epoxy's excellent adhesion to balsa and plastic foam cores, glass, aramid and carbon fabrics, allows the builder the advantage of selectively integrating these materials into the boat's structure. Designers, builders and owners have more choices available. Through epoxy composite construction, the builder can offer boats in a wide range of designs, materials and construction methods. The builder using composite technology can build boats with a range of materials, designs, and construction methods that are perfectly suited to the boat's use and the customer's needs. Everything from strip canoes to work boats, high performance multihulls to offshore racing powerboats have been built using epoxy composite construction. Composites can be uncomplicated structures of wood and wood veneer or complex vacuum laminated hybrids incorporating glass fabrics, aramid, or carbon fibers. All of the components in a composite boat are protected by an epoxy moisture barrier. Since the moisture content is stabilized, the maintenance problems associated with wooden boats - rot, joint cracks, structural members swelling or shrinking, and surface checking - are eliminated. Epoxy provides a stable base for paints and varnishes, reducing the frequency of refinishing. In glass laminated boats, epoxy's superiority to polyester resisn as a stable moisture resistant adhesive reduces the possiblility of delamination and gelcoat blistering caused by moisture penetration. Epoxy composite construction techniques for boatbuilding were first developed over thirty years ago. Over the years, thousands of composite recreational and working boats have been built and the earliest are still going strong. Composite construction has proved itself at the top levels of competition in sail and powerboat racing, in the harshest environments and under the toughest working conditions. Epoxy composite boats have set a standard for performance, reliability and beauty.